Painting the outside of your house is a big job and choosing a color can be more complicated than you think. 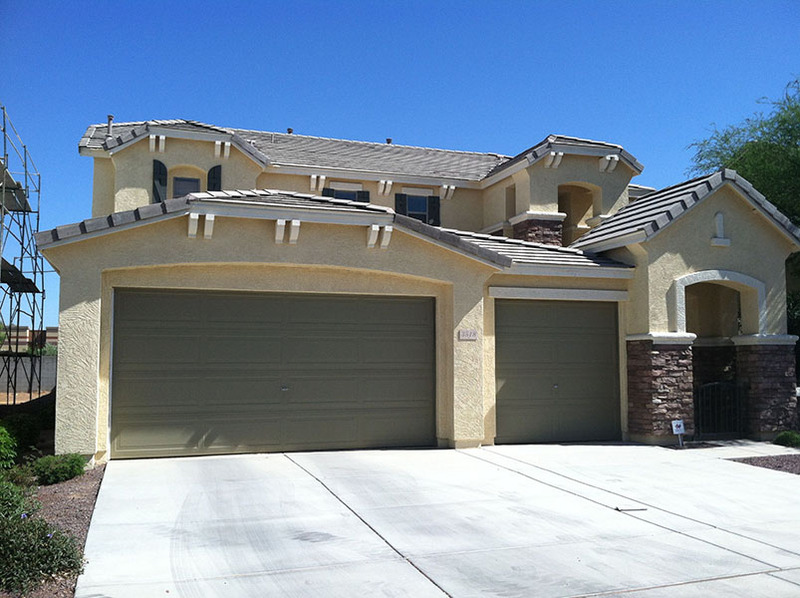 Our exterior painting services include painting the outside of your home in Waddell or Palo Verde. There are some factors to consider to help you find the perfect color. Seeing what colors are present in your neighborhood in Waddell or Palo Verde is a useful tool when choosing your own color for exterior painting services. While you don’t necessarily have to match, it would be best not to clash with the rest of your neighborhood. Also, many HOA’s in Palo Verde and Waddell have color restrictions, so it’s a good first step to see what is required of you before contracting exterior painting services. We are very experienced at ACN Painting in working with HOA’s and the standards that most of them uphold. The type of architectural style of your Waddell or Palo Verde home will affect your paint color choices as well. Our exterior painting services include helping to guide you in your decision making. We are experienced in many different styles of homes and can help to give you ideas. From bold colors on Victorian style homes to more subtle browns and greys on modern homes, we can do it all. What does the environment look like around your home in Waddell or Palo Verde? Helping you to choose a color that works well with the natural elements surrounding your home is part of our exterior painting services. Earthy tones in a desert area help your home to blend in, but if you have some grass and trees in your neighborhood, you may be able to be a bit more ambitious with color. Remember that just because neutral tones are what are best for your neighborhood/environment/style structure, it doesn’t mean you can add a pop of color in different ways. For example, painting your front door a bright color can really bring your whole look together. We don’t expect you to be an expert on color theory. That’s what we are here for. Our exterior painting services include an array of design tools to help guide you into the perfect color scheme for your home. When you keep this in mind, painting the outside of your home in Waddell or Palo Verde can be exciting and even fun. We will take the stress out of the whole process so you can enjoy your home make-over. Contact us today!